Came home to a lovely surprise yesterday! I actually just came from MC Home Depot with new tiles for my flatlays when the delivery guy came with new goodies from Maybelline. So yeah this is the among the first few products I took photos of on these new tiles hahaha. 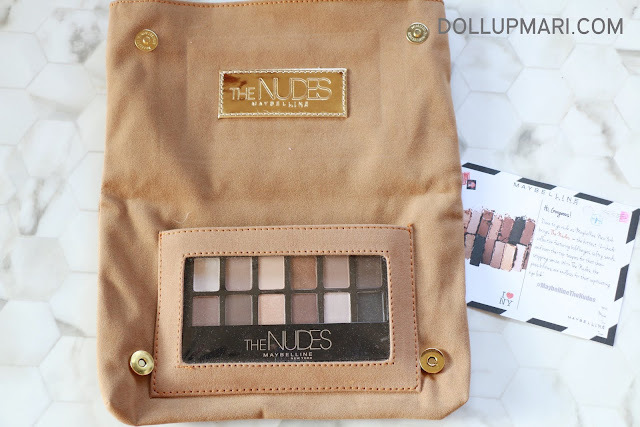 So meet Maybelline's The Nudes. 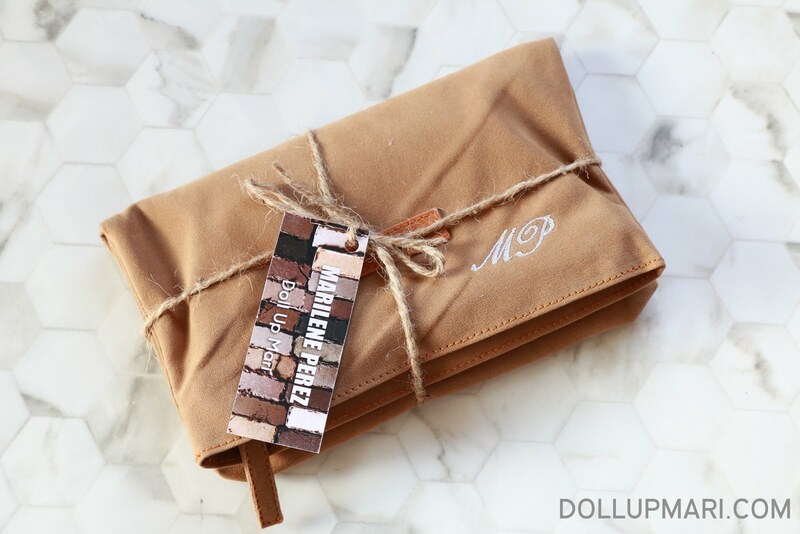 12 neutral shades, more than 10,000,000 ways. 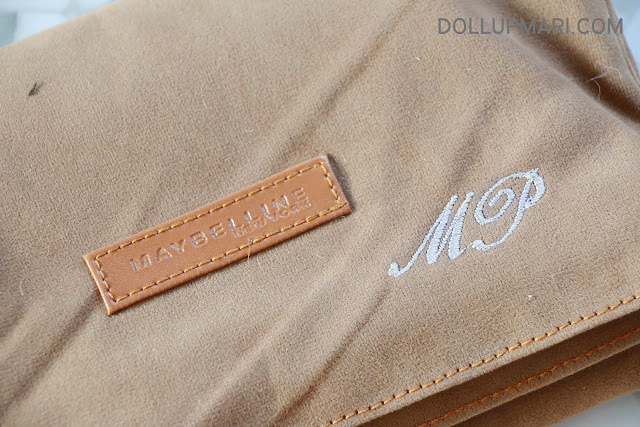 I couldn't help but feel special because they even had my initials embroidered onto the pouch. And I felt that the tag was hilarious, because, well, look at my blog banner WAHAHAHA. But well, my banner is a fruit of my 2013 life threatening photoshop skills hahahaha. I have yet to come up with a new one hahahaha. When I open the pouch, the palette greets me. 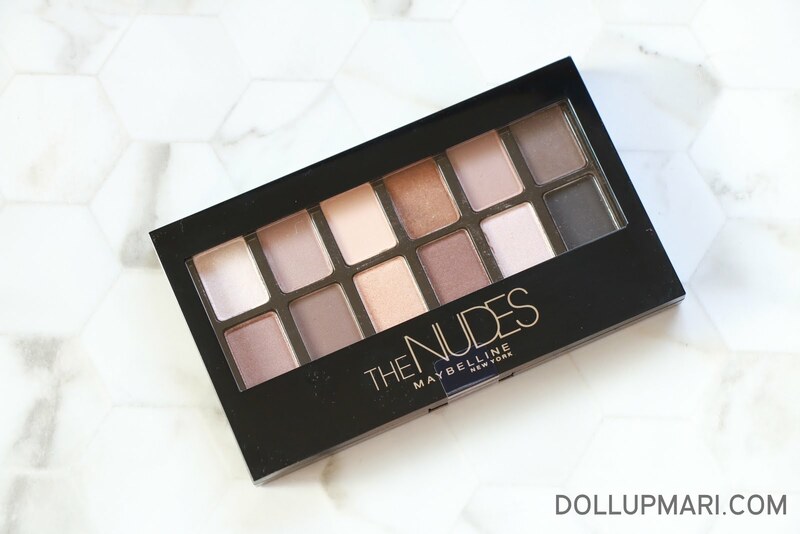 I'm actually very excited about this because this is like a Naked palette without the bulk. It's just about 3/4 cm thick, and the size is about three credit cards. 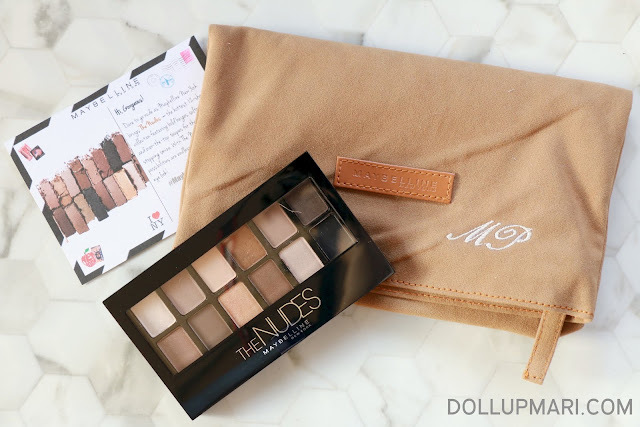 I like how this is small enough to fit in most purses, because while I love my Naked palettes dearly, I don't have a lot of footlong purses, you know.... And I don't really see myself traveling with the full Naked palettes, lest I go for a Naked basica palette. 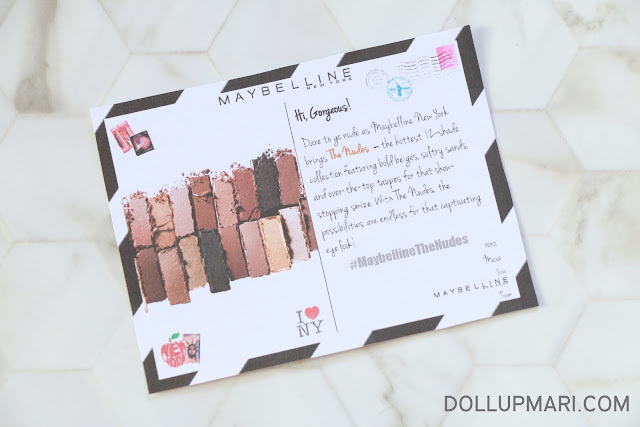 While I haven't swatched these yet as I speak, I have great faith in them, because after all, Maybelline and Urban Decay are both owned by L'Oréal. And this is the notecard they sent me. I'm so excited to swatch this and show to you guys!